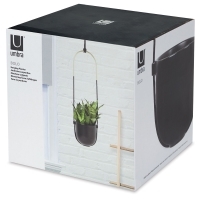 Bring the outdoors in with this stunning planter from Umbra Home Décor. 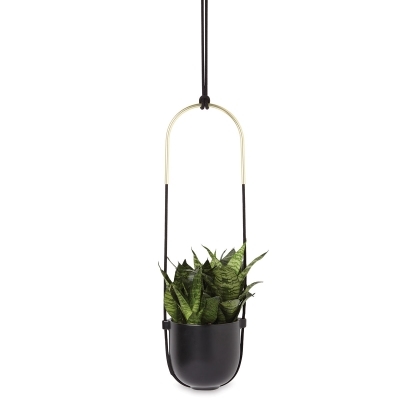 With its soft, round curves and black and brass finishes, the Bolo Planter is a modern response to traditional hanging planters. It's a great way to add succulents, air plants, sedums, or other greenery to your indoor space. 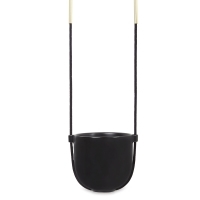 Designed by Simone Ferkul, the Bolo is made of durable black ceramic with a brass-covered rope holder. 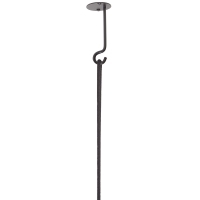 It has a 6" diameter pot, measures 43-3/4" high (including the rope holder), and holds up to 6 lb. 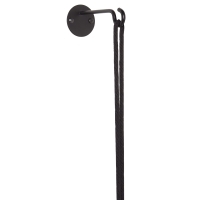 Mount it in minutes on ceilings or walls with the included hooks and hanging hardware. ® Umbra is a registered trademark.